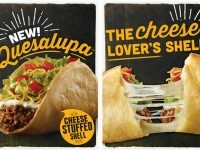 Okay, so we don’t know that Taco Bell is releasing the Quesalupa, but from everything I’ve read and talked to from employees, it is basically a 100% certainty. Taco Bell is currently doing a pre-sale through the Taco Bell website. The item is a “mystery” that is being released on Monday after this weekend’s Super Bowl, but if you preorder it now, you can get it on Saturday, February 6th between noon and 4 PM. 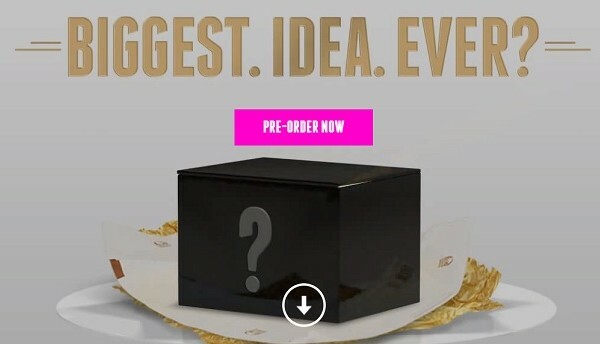 Taco Bell isn’t yet revealing what the item is, but it does cost $2.99, and you can preorder up to 5 of them. I have my preorder in, and barring any massive black market trading, I’ll be enjoying a Quesalupa on Saturday with a review up for everyone else for when the official sale starts on Monday, February 8th.